POWERED by a motorcycle engine and operated through the conventional handlebar control, a rubber-tired motor wheel has been invented which is claimed to represent the ideal in cheap and rapid transportation. The device is so simple that a youngster can operate it. The large wheel is fitted with a continuous inner track along which run a series of flanged wheels on which the mechanism revolves. 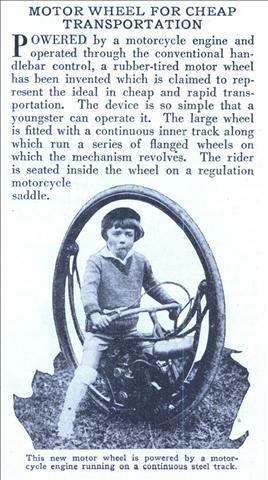 The rider is seated inside the wheel on a regulation motorcycle saddle. I give up…how do you stop it? 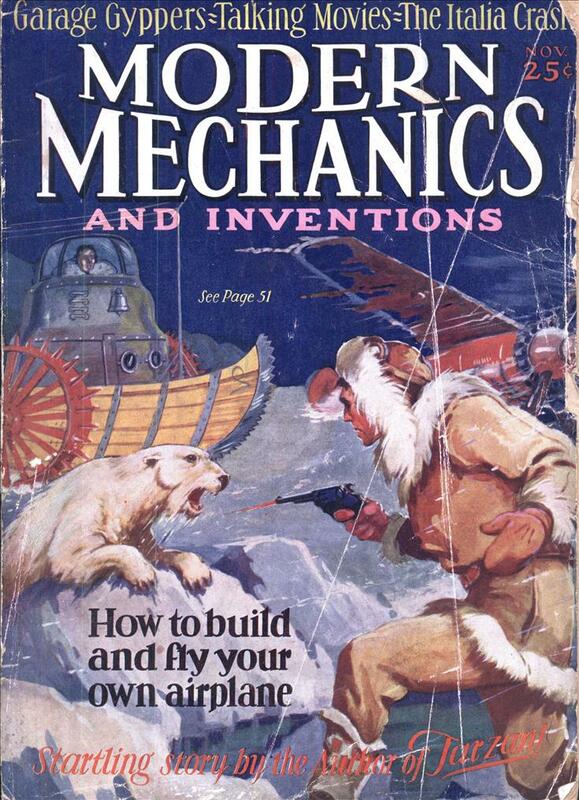 How many times has this thing been invented, invented, invented… All on the pages of these magazines. It shouldn’t take him more than six months to grow out of this, unless he gets half his hair torn out by the wheel first. Wonder if crainial disfiguration was due to face plants during father-forced test runs. Didn’t I see this on a South Park episode? These things look kind of cool. I just thought they were just something made up to fit a storyline (see the latest Ratchet & Clank game for PS3) until I found them on this blog. We Now supply monocycle as encksoed,which is showed in 2008 Beijing Olympic game.